The variety and inventiveness of of the hand-drawn maps submitted so far is impressive, to say the least. So impressive that the best ones are going on show at the Museum of London. Reader Helen Scalway takes things one step further by asking passers-by: 'Please draw your London Underground network'. 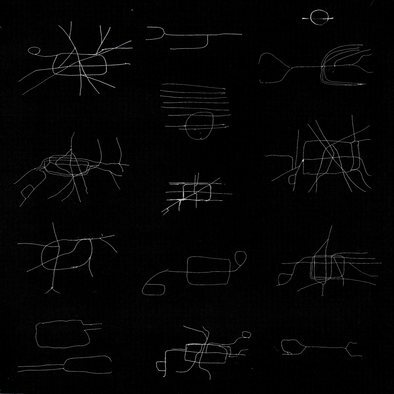 The result is a selection of etchings, some of which are immediately recognisable as Tube lines, others that look like indecipherable glyphs from a Mayan tomb. I spent some time gathering these maps, mainly from passengers at Fulham Broadway and Leytonstone underground stations, to get a sense of what people would come up with along an east-west axis of the city. I had to make sure they had enough time — if the information board showed the train was coming in one minute only, that tended to be insufficient — most were done in either three or two minutes. 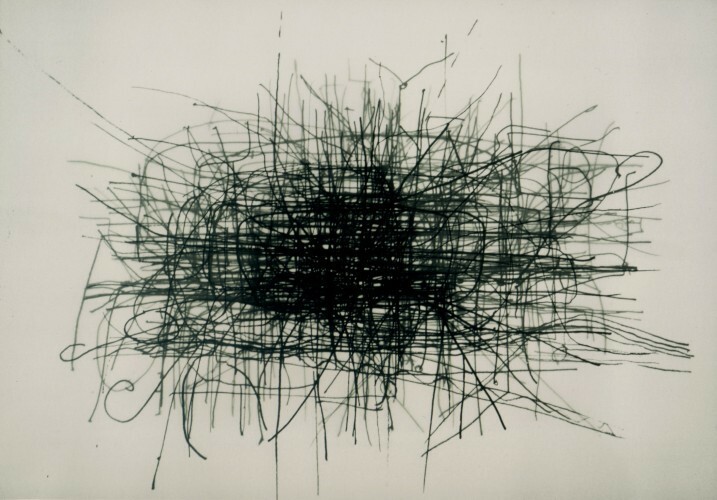 The second drawing, looking somewhat like a flying spaghetti monster, shows a composite of all these hand-drawn Tube maps. Crowdsourcing, it seems, is not always the answer. Although entries for the museum exhibition are now closed, we're still looking for further hand-drawn maps. If you fancy doodling your street, neighbourhood, commute, or the whole of London, send your handiwork to hello - at - londonist.com. Previously: Albertopolis, Angel to Bankside, Anglo-Saxon London, Bloomsbury, Borough of Southwark, Brixton as a tree, Central London, District Line (Wimbledon Branch), Central London with no street names, Driver's Mind Map, Fleet Valley, Hackney, Hampstead Heath, Hoxton Square, Isle of Dogs, Kingsland Road, London as a grid, King's Cross and Islington, Ladbroke Grove, London firsts, Mayfair, Mayfair Squares, New Cross, New Cross (the fields of), Notting Hill, Paris versus London, Patchwork London, Pimlico, River Fleet, Primrose Hill, Rivers, Stoke Newington, Stratford, Toilets, Tottenham to Aldwych on bike, Walthamstow by mother and daughter, West Hampstead, Westminster kettling. 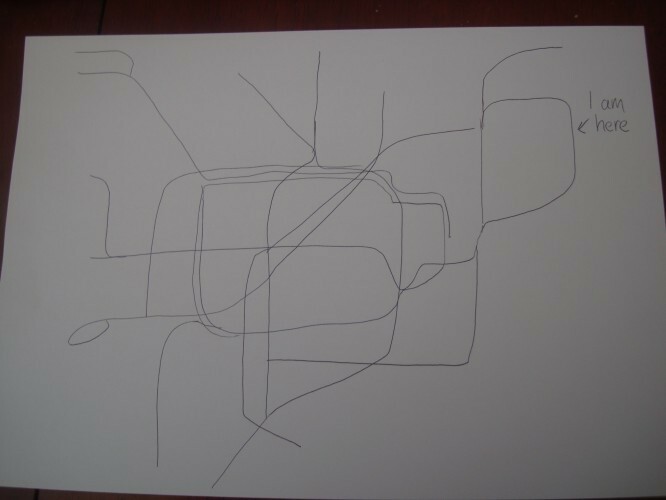 Update: Reader Charlie Waters had a go at drawing the Tube map from memory. Here's his impressive effort. We'll add any other Tube drawings to the bottom of this post, so please get scribbling.